I can still hear that "Vacchiano sound"–big, dark, round, and vibrant! 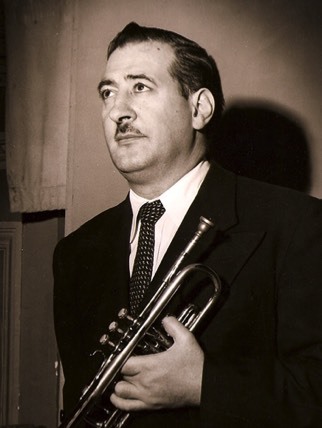 Vacchiano appeared on hundreds of recordings with the New York Philharmonic, RCA Victor Orchestra, Columbia Symphony, and a variety of other independent orchestras. Many of these are première recordings, including both standard and contemporary styles. Among them are Mahler’s Symphony No. 5 with Bruno Walter conducting (1947) and Berg’s Wozzeck with Dimitri Mitropoulos conducting (1951). With only a handful of recordings available of any particular composition during Vacchiano’s tenure with the Philharmonic, one could not escape his influence. In regards to trumpet repertoire, he was only the second trumpet player in America to record Bach’s Brandenburg Concerto No. 2, with Fritz Reiner conducting (ca. 1949); the first being Roger Voisin (ca. 1946). Due to his active recording schedule with the New York Philharmonic and the studios in New York City, Vacchiano recorded many compositions more than once with a different conductor each time: Stravinsky’s Petrouchka (four times), Mahler’s Symphony No. 5 (three times), Mussorgsky’s Pictures at an Exhibition (three times), and Scriabin’s Poem of Ecstasy (two times). *Due to legal restrictions in the Fair Use Law, any recorded format cannot be reproduced on this website. Below are a list of recommended recordings in which Vacchiano is featured. A more comprehensive list can be found in Vacchiano’s biography, Last Stop, Carnegie Hall.